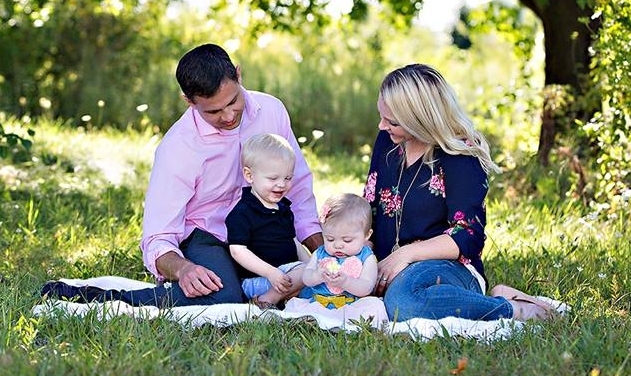 Dr. Adam B. Hill is a human being, a husband, a blessed father of two young children, an avid Butler University Bulldog, a native Indiana son, and a pediatric palliative care physician at Indiana University's Riley Hospital for Children in Indianapolis, IN. Dr. Hill openly shares his own story of depression, suicidal thoughts and alcoholism while working in the field of medicine. Now, years into recovery, Dr. Hill shares his experience to help other individuals still suffering. In the midst of a national epidemic of caregiver distress, Dr. Hill reveals a rare, open and honest perspective, which has garnered national/international speaking opportunities and assisted in lifting the veil of secrecy regarding caregiver mental health. Dr. Hill's voice is leading a cultural revolution for how we approach mental health conditions in the professional workforce. In his lectures and writings, Dr. Hill shares the lessons learned during the course of his own successful mental health and addiction recovery. On March 23rd, 2017, these lessons were shared in the groundbreaking New England Journal of Medicine Article entitled "Breaking the Stigma: A Physician's Perspective on Self-Care and Recovery". Dr. Hill extrapolated these lessons into a compelling, full length narrative book entitled Long Walk out of the Woods: Lessons from a Physician's Addiction Recovery and Return to Mental Health. Dr. Hill's expertise and lived experience makes this book a must read for all individuals working in the field of medicine. The book will be released by Central Recovery Press in February 2020. In addition, Dr. Hill shares his own personal reflections on stigma, stereotyping, self-care and embracing humanity as a man living with a history of mental health conditions. These lessons have far reaching applicability for anyone living and/or struggling with a mental health condition, while offering a message of inspiration and hope for individuals to remain in the fight. Through all of this work, Dr. Hill uses his platform to explore the importance of human connection and human stories. Dr. Hill combines his work in palliative care, his perspectives of being a physician in recovery, and as a human being living with a mental health condition, in order to highlight our similarities instead of our differences. His work uncovers the importance of connecting to another human being while creating safe spaces for our own stories to be empathically heard, felt and understood.